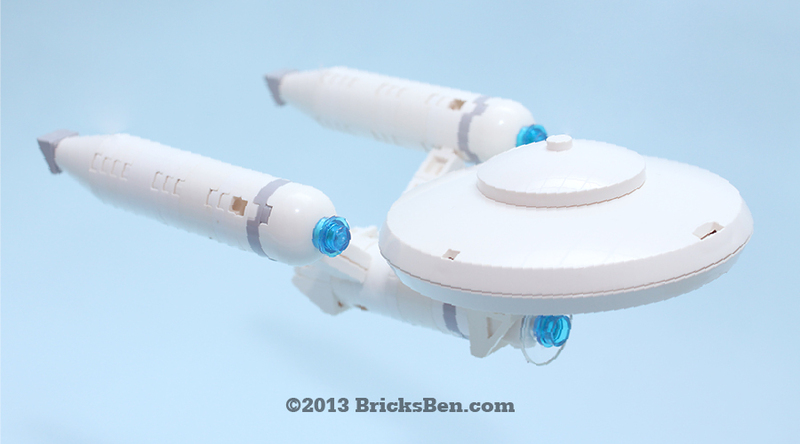 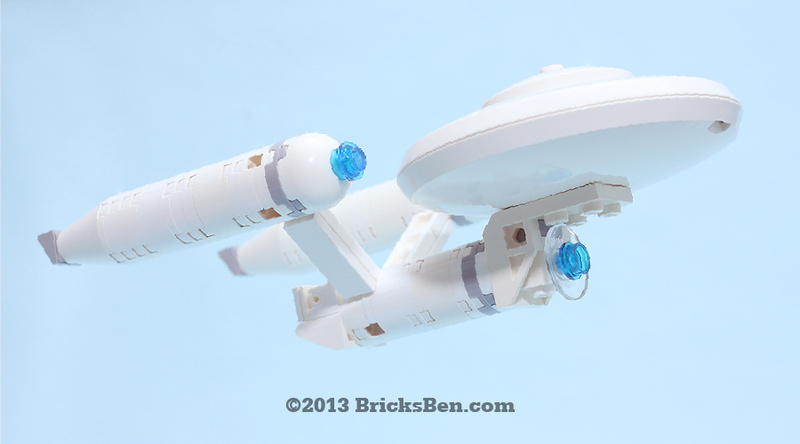 Our next mission: To boldly go where no brick has gone before! 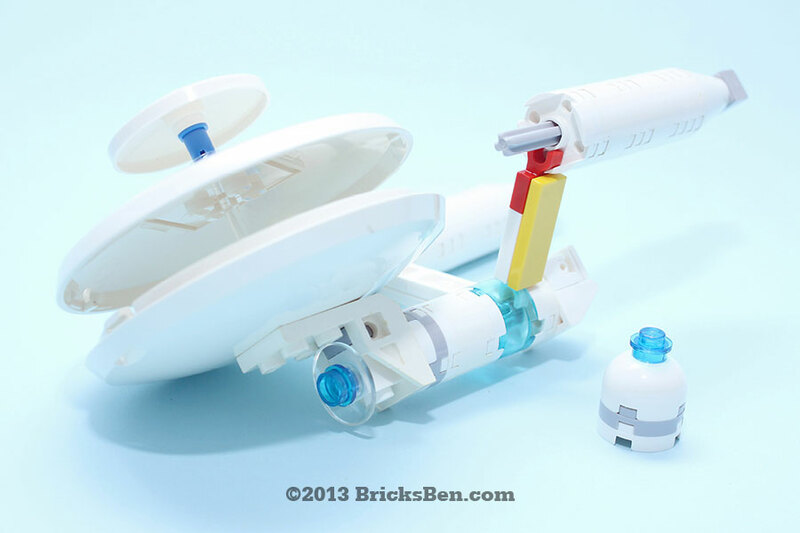 We hope our LEGO® rendition of the galaxy’s most famous pizza cutter would be a vessel Captain Kirk and team would approve of. 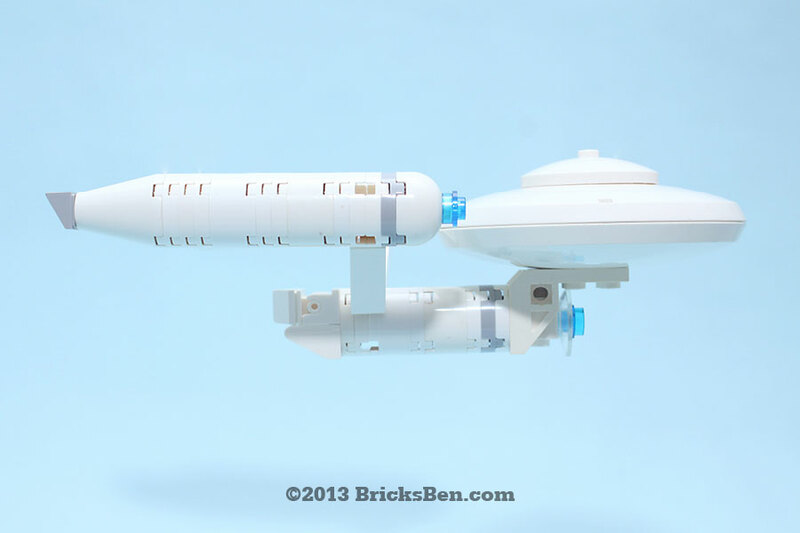 Brick me up, Scotty! 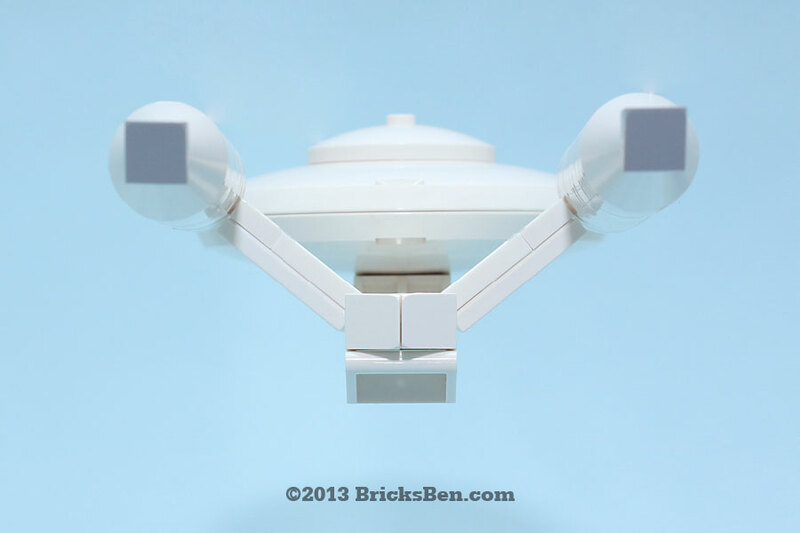 Construction notes: To connect the bottom hull with the twin propulsion thrusters, we used plates with horizontal clips (1×1 and 1×2), which fit nicely in the grooves of the round 2×2 bricks and plates (see coloured parts in cross-section view). 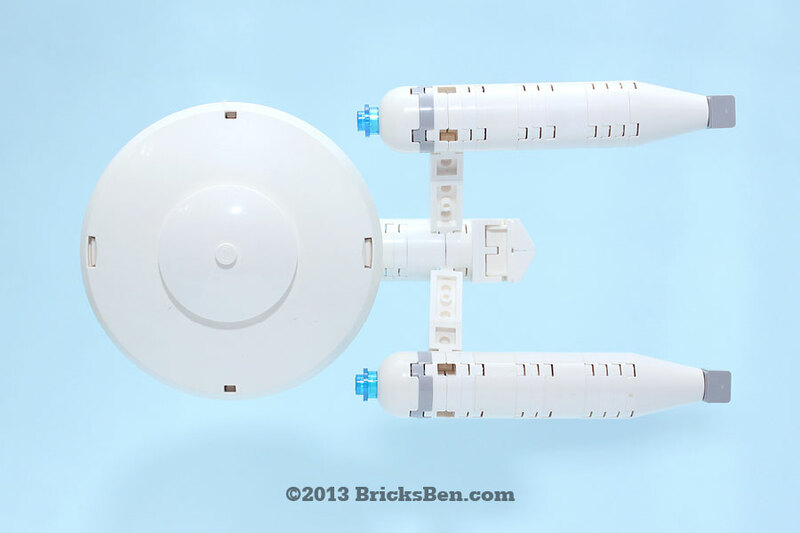 Inside the bottom hull and twin propulsion thrusters are long Technic axles that provide strength and enable the studs to point in opposite directions. 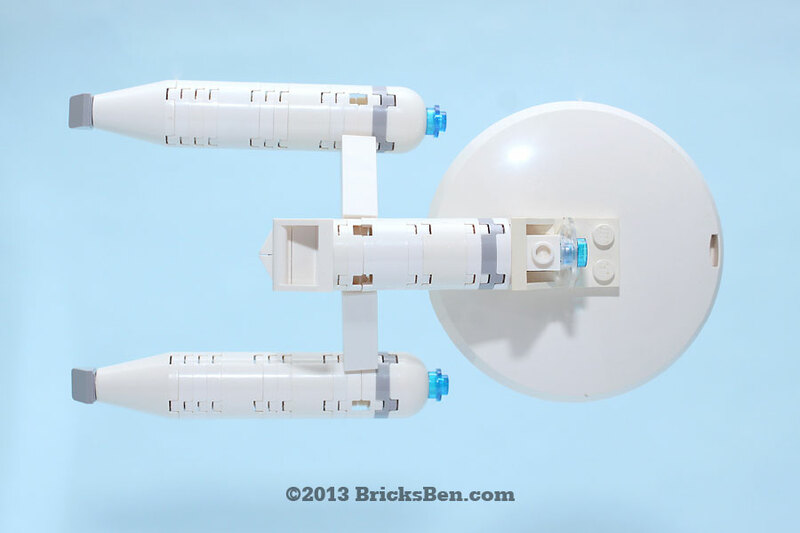 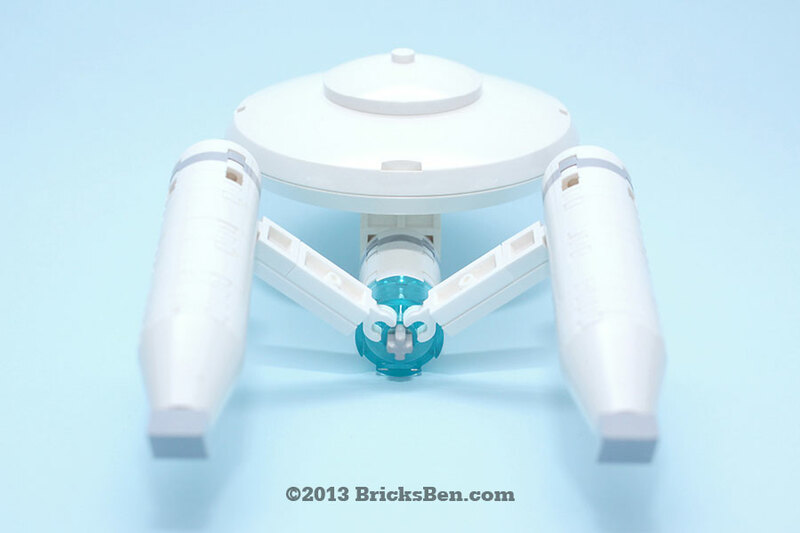 No rocket science involved in the making of this brick starship! 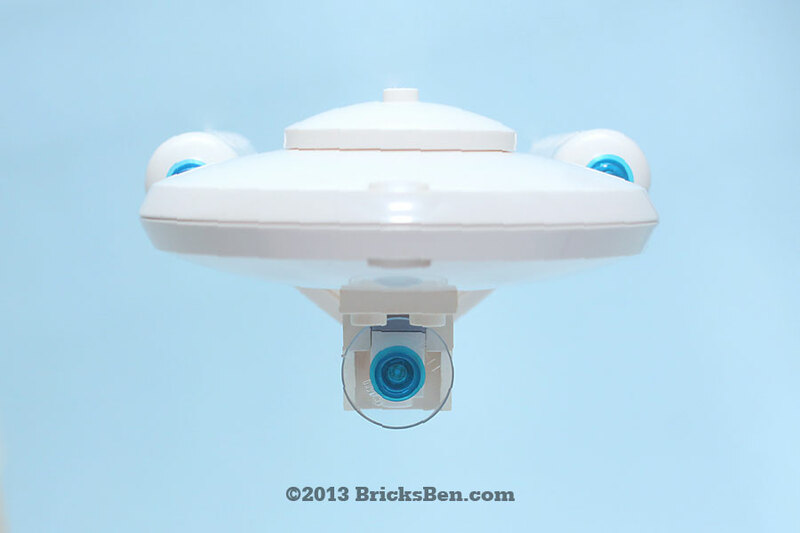 More from Movie Magic: Despicable Me Minion, My Little Pony, SpongeBob SquarePants and WALL-E.